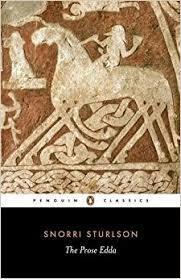 In Snorri Sturluson’s preservation of pre-Christian Scandinavian mythos, he outlines two groups of gods, the Aesir and the Vanir. Though ultimately presented as a united pantheon in comparison to beings such as the giants, there are references to a war between these two divine factions. But, there is still scholarly debate as to the significance of the division between the Aesir and Vanir. At one extreme some contend that the division was concocted by Sturluson himself for stylistic or poetic reasons. In contrast, others suggest that the Aesir-Vanir division is substantive, and reflects deep historical origins. The Vanir, in this telling, are the fertility gods of pre-Indo-European peoples. The Aesir, are the gods of the Indo-Europeans. The war between the two factions then is a memory of the conflict between the indigenous farmers, and the incoming Indo-European pastoralists. Sturluson himself suggested that the gods of the Norse mythos were simply deifications of great historical personages of the past, lending credence to the idea that the folklore preserved the memory of history. …Farming arrived in Scandinavia with the Funnel Beaker culture by the turn of the fourth millennium B.C.E. It was superseded by the Single Grave culture, which as part of the Corded Ware horizon is a likely vector for the introduction of Indo-European speech. As a result of this introduction, the language spoken by individuals from the Funnel Beaker culture went extinct long before the beginning of the historical record, apparently vanishing without a trace. 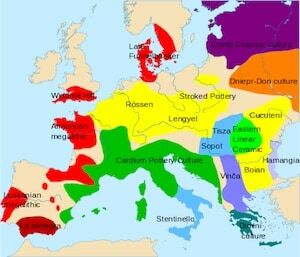 However, the Indo-European dialect that ultimately developed into Proto-Germanic can be shown to have adopted terminology from a non-Indo-European language, including names for local flora and fauna and important plant domesticates. We argue that the coexistence of the Funnel Beaker culture and the Single Grave culture in the first quarter of the third millennium B.C.E. offers an attractive scenario for the required cultural and linguistic exchange, which we hypothesize took place between incoming speakers of Indo-European and local descendants of Scandinavia’s earliest farmers. There is a lot of interesting detail in the paper itself. First, the Corded Ware arrived in Jutland in ~2850 BCE, but only occupied the western and central parts of the peninsula. The Funnel Beaker complex, along with influences and interactions with the hunter-gatherer Pitted Ware culture, persisted in robust form until ~2600 BCE in the east of Jutland. Additionally, the authors note that there was a notable cultural geographic division which separated the former Funnel Beaker territory as it was in ~2600 BCE down to ~1500 BCE, when the two zones fused together into a unified Nordic Bronze Age culture. An explicit analogy is made to the character of prehistoric Aegean society, where a pre-Indo-European matrix was coexistent with Indo-European cultures which arrived from the north for centuries, and even millennia, down to the Classical Greek period (the Pelasgians). But the similarity is closer than just one of form: the language of the Funnel Beaker people may have existed on a dialect continuum with the farming peoples of the Mediterranean. That is, Neolithic Europe was probably united by an ethno-cultural linguistic complex similar in scale and quality to that of the Bantus in modern Africa. One of the hypotheses about the origins of the Vanir is that they were agricultural fertility gods. As it happens many of the hypothesized borrowings of non-Indo-European words into Germanic are of agricultural nature. 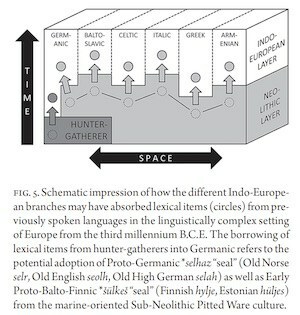 Additionally, the table within the paper illustrates that many of these words span very different Indo-European language families. The implication is strong that Minoan, Basque, and the pre-Indo-European languages of Northern Europe are genetically related to each other. Genetics does not illuminate everything, but I do think that it gives a certain solidity now to the nature of demographic turnover and variation in prehistoric Europe. With that in mind archaeologists and folklorists can interpret the mythologies and legends which have been passed down to us from the liminal periods on the edge of history and prehistory. For example, the thesis that pre-Indo-European religion revolved around cthonic deities of the earth (e.g., the Tuatha de Danann) makes a lot more sense if you believe that these people were agriculturalists. In contrast, the Indo-Europeans from the east arrived as pastoralists, and it is not, therefore, a surprise that the one Indo-European god who has an undisputed cognate across all branches of the Indo-European peoples is the sky god, whether he is known as Zeus, Jupiter, or Dyauṣ Pitār. As a child I was a consumer of a fair amount of environmentalist alarmism. 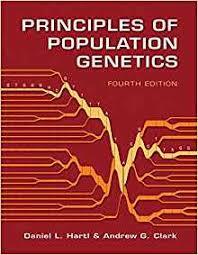 Not the standard stuff you see on the news, but books like The Population Bomb. 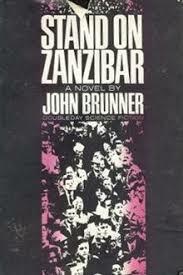 I also read the science fiction classic Stand on Zanzibar. Stand on Zanzibar is about an overpopulated Malthusian world. It is the world of 2010, and the population is 7 billion. The author, John Brunner, was writing in 1968. This was the beginning of the worries about population growth and sustainability. Brunner was right about the world population in 2010…but it’s not quite the dystopia that he painted. In some places, like the Congo, it is quite hellish. But in much of the world there is a slow but steady advancement, much of it thanks to China. 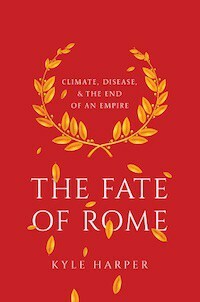 Rather than the inevitability of a Malthusian crisis due to overpopulation (note that fertility rates peaked in the 1960s) slowly creeping up on us, I think we need to worry about our society’s ability to withstand shocks. 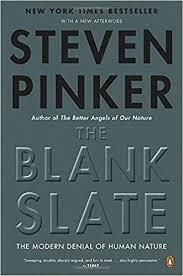 Those shocks might destabilize the social matrix which our high productivity society needs to survive, and without that productivity, we will be a Malthusian crisis. 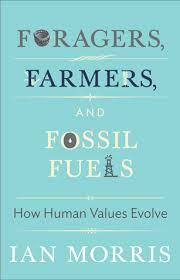 A few years ago I contributed to an op-ed which defended the utility of the race concept in biology in USA Today (which by the way prompted a quite patronizing email from a famous doyen of population genetics who wished to correct my ignorance; here’s a clue: “Out of Africa again & again”). 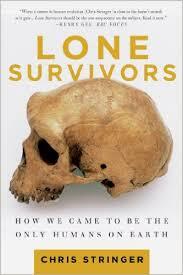 In my initial draft, I had stated that the Khoisan diverged from other human populations ~200,000 years ago. The fact-checker came back and said that this didn’t seem to be a supportable claim. The reason I gave the ~200,000 figure is that I’d button-holed people who looked at these genomes, and they were coming to the conclusion that the divergence between Khoisan and non-Khoisan was further back than we’d presupposed. And that was the number given to me. 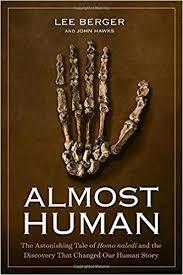 Ultimately I compromised and allowed them to change the divergence value to 150,000 years before the present. Today we’re in a different landscape. 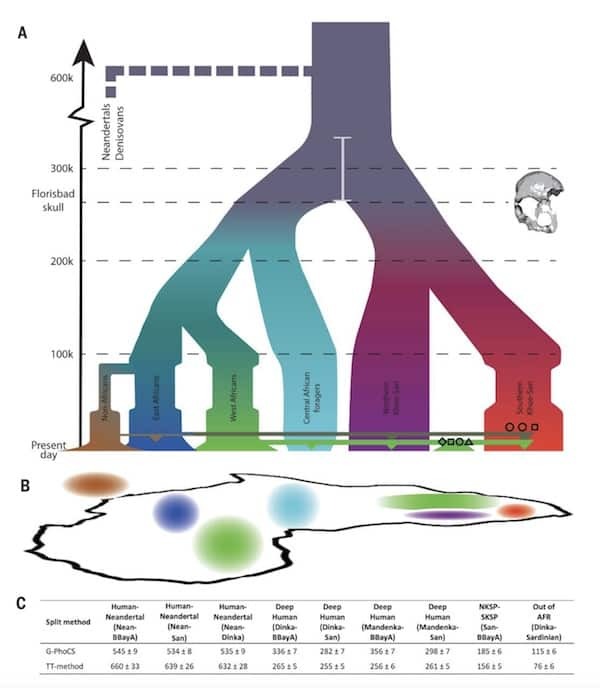 The above figure is from the Science paper, Southern African ancient genomes estimate modern human divergence to 350,000 to 260,000 years ago, which was earlier a biorxiv preprint (which I mentioned last spring). In concert with the North African find, the media is running with the idea that the origin of modern humans goes back very far indeed. This piece in ScienceNews is actually pretty good in my opinion at staying under control, though not all write-ups have been so measured. So in a span of two years we’ve gone from me pushing and compromising on a value of ~150,000 years, to researchers suggesting that the Khoisan/non-Khoisan divergence is about two-fold older than that! Well, I’m here to tell you that a prominent geneticist who is very conversant with these issues is simply incredulous about the likelihood of this particular value. I brought up this preprint to them over lunch and they just didn’t buy it. That is, they are skeptical that the amount of admixture would have skewed the earlier inferences to the magnitude that they seem to have in these results. The authors in the paper used G-PhoCS and their own ingenious method to come to these inferences of split dates. The problem with these methods is that the inferences generated aren’t nearly as straightforward as an admixture estimate (which can be checked by something as simple as a PCA). I don’t want to get into the details, but I remember seeing models in the 2000s which inferred that East Asians and Europeans diverged ~25,000 years ago, or that there was no Neanderthal admixture in Europeans (to a high degree of confidence). Models can come out with a lot of values. More importantly, look at the dates of divergence of non-Africans (Sardinians here) from their closest African relatives. In light of the likelihood that the closest population to non-Africans may have been an East African population represented by Ethiopia Mota individual (along with modern Hadza), we can probably drop that estimate down a bit. But G-PhoCS in particular just gives too old an estimate. There are ways it makes sense (lots of old structure within Africa) of course. I’m just speaking in terms of possibilities. The diversification of extant modern populations seems to have occurred around ~50,000-60,000 years before the present. This aligns with the archaeology, and the ancient genomes which we have on hand. Of course the methods in this paper might be right. And the fossil from North Africa does add some plausibility to that. But really the whole field is somewhat unsettled now, and we should be cautious of reporting of definitive truths in the media. Selection for pigmentation in Khoisan? In the recent paper, Reconstructing Prehistoric African Population Structure, there was a section natural selection. Since my post on the paper was already very long I didn’t address this dynamic. The functional category that displays the most extreme allele frequency differentiation between present day San and ancient southern Africans is ‘‘response to radiation’’ (Z = 3.3 compared to the genome-wide average). To control for the possibility that genes in this category show an inflated allele frequency differentiation in general, we computed the same statistic for the Mbuti central African rainforest hunter-gatherer group but found no evidence for selection affecting the response to radiation category. We speculate that the signal for selection in the response to radiation category in the San could be due to exposure to sunlight associated with the life of the Khomani and Juj’hoan North people in the Kalahari Basin, which has become a refuge for hunter-gatherer populations in the last millenia due to encroachment by pastoralist and agriculturalist groups. I’m a bit puzzled here, because the implication seems to be that the San populations are darker than they were in the past. And yet earlier this summer I saw a talk which strongly suggested that there was a selection in modern Bushman populations for the derived variant of SLC24A5, presumably introduced through admixture from East African populations with Eurasian admixture. In comparison to their neighbors the San are quite light-skinned, so it’s a reasonable supposition that they have been subject to natural selection recently. The Hadza, in contrast, seem to have the same complexion as their Bantu neighbors. Posted in Natural SelectionTagged Pigmentation, Selection4 Comments on Selection for pigmentation in Khoisan? 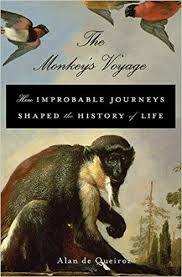 The Monkey’s Voyage was one of the more interesting books I’ve read in the past few years. Basically the author shows that the idea that islands like New Zealand are living mengaries of a lost Gondwanaland is false. Due to extinction islands have high turnover rates, and most species in New Zealand descend from relatively recent arrivals. And how do they arrive? Larger animals like New World monkeys, probably on rafts made of driftwood. In the last five years, he and his colleagues have documented 634 pieces of debris that were swept away by the Tōhoku tsunami and eventually washed up on the coasts of North America. And it hasn’t stopped coming yet. Between them, these bits of ocean-hopping junk carried 289 species that are typically found along Japanese coasts—a vast horde of sponges, sea stars, sea anemones, mussels, limpets, barnacles, and fish. Posted in EnvironmentTagged Biogeography2 Comments on The macaque’s voyage? We live in interesting times. The world system is slowly shifting back to the historical norm. That norm being that most people and economic production would occur in Asia. 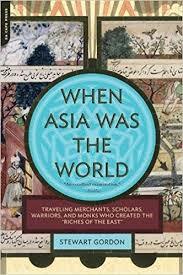 The book When Asia Was the World chronicles period the between after the fall of the Roman Empirea and on the cusp of the European Age of Discovery. It prefigures a world of interconnections which don’t necessarily loop back to the West. It is strange on Facebook seeing my cousins on Bangladesh joining the international economy, but that economy not necessarily having the United States at its center and fulcrum. We are still the biggest player…but we are not necessarily an indispensable player. Today, the company employs 130,000 people in India — about one-third of its total work force, and more than in any other country. Their work spans the entire gamut of IBM’s businesses, from managing the computing needs of global giants like AT&T and Shell to performing cutting-edge research in fields like visual search, artificial intelligence and computer vision for self-driving cars. One team is even working with the producers of Sesame Street to teach vocabulary to kindergartners in Atlanta. This is as much a social story as it is a matter of economics. A new global class is organically developing along the scaffolds provided by international corporations. This class, dare I say caste, is beginning to supersede the importance of the Tribes which Joel Kotkin wrote about in the early 1990s. And no matter what Thomas Friedman and Francis Fukuyama tried to tell us, I’m not quite sure that the global cosmopolitan culture will reflect the mores and preoccupations of the Western post-materialist elite. To be entirely frank I’m not totally sure that this is a bad thing, either. We can look at economic projections all we want. But the protean and unpredictable nature of cultural changes is really where the action is going to happen in the next few decades, as Islamic revivalism begins to fade and burn itself out. As a follow-up to my previous two posts on Afrikaners, I wanted to reiterate something that I implied/said earlier: yes, I think about 1% of the ancestry of modern day Afrikaners derives from Khoisan pastoralists of the Cape who were resident there when the Europeans first arrived. These people are often called Khoikoi. 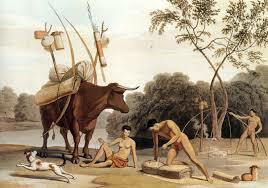 Unlike the more famous Bushman the Khoikhoi were not hunter-gatherers. Rather, they herded cattle. Both archaeological and genetic evidence points to the fact that pastoralists arrived in southern Africa through the expansion of East African nomads, who had some Eurasian ancestry (ergo, Khoisan peoples have differing degrees of non-Khoisan African ancestry, as well as Eurasian ancestry). Today there are no major Khoikhoi groups in South Africa that have not been extensively influenced by other populations (in Namibia the related Nama maintain tribal cohesion and continue the cultural tradition of Khoisan pastoralism). Where did the Khoikhoi go? Many died due to disease, and the privations of slavery. 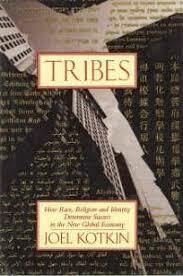 But, some were certainly absorbed into other populations. 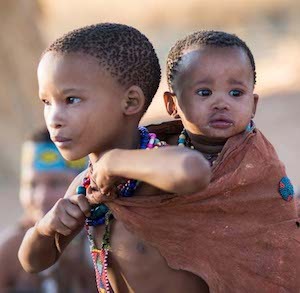 The Xhosa people have substantial Khoisan ancestry for example. The plot to the left has various populations, including Dutch, whites from Utah, white South Africans, Nigerians, African Americans, Barbadians, and Bantu populations (click the image for a larger version). As well as Khoisan groups which are a combination of Nama and San Bushmen samples. If you click the larger image you can see that the South African Bantus are shifted toward the Khoisan. The Kenyan Bantus are skewed in the direction of Eurasians…though only mildly so (no doubt due to Cushitic admixture). The plot to the right (click to enlarge) is a zoom in. It is clear that the South African samples are very subtly shifted out of the normal Northern European cluster. If you look at the cline from the Nigerians running toward the Northern Europeans, the South African whites look to be perturbed from it. Notably, some of them are clearly shifted in the direction of the Khoisan. Next, I ran Admixture analysis. I set the reference populations as Esan from Nigeria, Khoisan, and Dutch whites. You can see that African Americans exhibit a cline as you’d expect. A minority of their ancestry is Northern European. But mostly they are African, with the dark blue representing the Esan Nigerian reference population. This is as it should be; most of the slaves who came to America seem to have come from the Congo up the Africa coast all the way to Senegal. The fraction of African ancestry in the South African samples is low. But observe that many of them have just as high a fraction of the red component, which comes from the Khoisan reference population. These ten mostly white South Africans average 1.4% Khoisan and 2.3% non-Khoisan African. Finally, I decided to run Treemix and do a three population test. With two migration edges the results make a lot of sense. The African Americans are placed next to the Nigerians, but there is a migration edge of some significance from the Northern Europeans. The South Africans are in a clade with the Dutch samples, with Utah whites being the outgroup. But, they have a migration edge from between the Esan from Nigeria and the Khoisan. Recall that there was more Nigerian-like ancestry in the South African whites than Khoisan-like ancestry according to Admixture. The gene flow edge seems to be closer to the Esan by some margin. Finally, I ran a three population test, which tests gene flow by placing an admixed population as an outgroup to source populations. Negative statistics indicate “complex population history” not accounted for by the tree. The bottom two results can be ignored. What you see is that African Americans have the most negative f3 values with the highest z-scores. There is a drop-off from the Nigerians to the Khoisan as one of the source populations because the Nigerians are a much better fit. The values for South Africans are much lower, which makes sense in light of their lower admixture proportion. But observe that the f3 statistic for using Esan vs. Khoisan is not that different. This suggests neither group is necessarily a better proxy for the other. 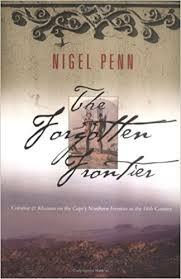 As for the ethnographic details of where this ancestry came from, I think it was the proto-Cape Coloured population. Growing up as a child I didn’t know much about Communism except that it was bad. I knew that it was atheistic from the mosque…but early on I knew I was quite atheistic, so that was not a major issue to me (though the religious oppression was). There was a period when I was eight or nine when I was interested in military history and armaments. It was immediately obvious that the Soviet Union seemed to be maintaining parity with the United States of America, which impressed me a great deal (MiG-29‘s are still around!). Though I also read that it expended a much larger proportion of its GDP on that than the USA. Even to me, it was clear that the Soviet Union was an authoritarian regime, but it wasn’t dramatically emphasized in the same way that the evils of Nazi Germany were. The Nazis had become dramatic legends even in my youth, but I’m old enough that in the 1980s and 1990s I also met survivors of the concentration camps, whether personally or during tours of schools. And then there was Schindler’s List. The Holocaust and Nazism, and the bravery of the Greatest Generation, were all prominent in our minds. In the wake of the Brezhnev era, the Soviets were more sinister than evil, while with the rise to power of Mikhael Gorbachev they also seemed to be turning a new leaf. Even after the fall of the Communist bloc in the early 1990s I did have later encounters with the ideology. One of my roommates, and friend, at university was an avowed Communist. Now, I knew of other self-identified Communists, but she was the real deal. She flew to Cuba to listen to a six-hour speech given by Fidel Castro at one point, even though she didn’t have the money for it. And, she seemed genuinely saddened by the shift of China to toward a mixed economy. It wasn’t just a pose. But I didn’t give it much thought. In the 1990s Communism had no future, so her ideological fervor struck me as a harmless affectation. It was only later that that I understood the true impact of Communist ideology, especially earlier in the 20th century. 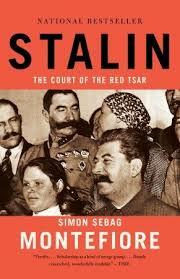 Stalin’s and Mao’s political purges, and the tens of millions who died in famines. The death toll under Communist regimes is of incredible magnitude; without compare (though with parallel, alas). And yet whenever I dismiss and attack Communism for being an evil ideology I get a serious number of rebuttals from readers. Often they take the same forms as the arguments I read in Michael Parenti’s Blackshirts and Reds: Rational Fascism and the Overthrow of Communism back in 1990s, which initially led me down the path of exploring Communism more deeply (despite being supportive of the Communist project in the generality, even Parenti couldn’t deny the atrocities, even as he tried to mitigate). One argument I often get is that they meant well. This is in contrast to the National Socialists in Germany, who were exterminationist. To a first approximation, this seems clear…but as someone who is personally from rural “landlord” background, I doubt they meant well to everyone! The dictatorship of the proletariat was going to overturn the old order, and the losers were not going to be happy about it. Not only were they going to be dispossessed, but they were often targeted and killed. There were class enemies, and it was clear early on that revolutionary Marxists were not going to be gentle with those class enemies. They would liquidate them. But whatever their intent, with Communism we have several repeated instances of massive death counts of the very people that the revolutions were supposed to help. The famine in Ukraine, the Great Leap Forward, and the Cambodian Genocide are clear examples.Then there is the North Korean famine the late 1990s. And the greatest decline in poverty the world has ever seen has occurred after the Chinese Communist state veered away from the regnant Marxist-Leninist economic orthodoxy of the 20th century. Today we face a new dilemma. Since 1970 the wage gap between skilled workers and the unskilled has been growing in the developed world. The egalitarian society of mass affluence seems to be fading away, as a new era of inequality and immiseration is facing us. At least in prosperous mature societies. I do not see any plausible solution on the Left or Right on the horizon. The populist energies that have been unleashed in democratic societies reflects this lack of an answer from the elites. They have no fix which will present opportunities for broad-based prosperity. 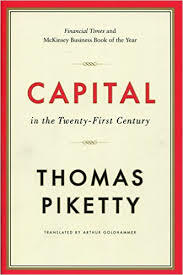 And, to be frank, populists are correct in suggesting that the elites partake extensively of crony capitalism and enforce policies which are self-serving. Into this vacuum are stepping radical firebrands on the Right and the Left. On the Left journals such as Jacobin Magazine are taking a “fresh look” at Marxism. As the above indicates I see where the impulse comes from. But this experiment has been done, disastrously, multiple times. There is no way any major state should risk this sort of radical socialism.I know that people like Bill Ayers call themselves “Anarchist Communists,” but in practice, they praise states like Venezuela which do not practice anarchism from what I can tell. All reasonable alternatives are better, even muddling along through a mixed economy. Despite the empirical record of Communism academics, in particular, seem to have a warm and fuzzy spot for the Marxists. They “meant well.” And, not only are there abstract Marxists in academia, there are literal self-identified Communists in the professoriate who egg on violent agitation. Obviously, there are no Nazi professors. And yet Communism is given a latitude, despite its 100 million person body count! And the body count issue is interesting because apologists for Communism regularly suggest that these numbers may be exaggerated. 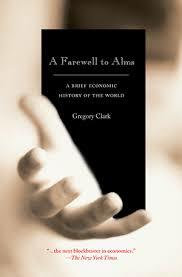 Refutations of the statistics for the Chinese famine suggest that it was closer to 10 million, rather than 45 million. This is like saying the Nazi regime has been slandered, because they killed 2 million, as opposed to 6 million, Jews. Quibbling over numbers in a passionate manner like this is the domain of Holocaust deniers, and yet with Communism, I encounter this regularly. 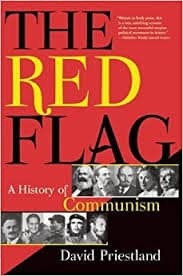 In conclusion, I don’t ever want to hear about how “true socialism has never been done.” The only socialism which is acceptable are the “less true” socialisms, the inept French kind with all its regulations, the high taxation Scandinavian variety, and those states which dabble in the commanding heights, but don’t fully commit. Gale force socialism too often leads to genocide and makes as much sense in practice as crazy libertarianism which attempts to privatize all sidewalks. And yet here we are when many proudly boast their sympathies with Communism and Communist regimes of yore. It doesn’t matter how many “mistakes” those regimes committed, it’s just an “experiment” which is too good to not try again…. 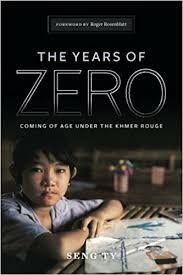 Addendum: I recommend The New York Times series Red Century. I do think a detailed ethnographic portrait of Communists is warranted and interesting. But I also do think too many of the pieces see the movement and period through a rose-tinted filter. One of the most interesting and strange things I’ve ever posted about has to do with extra-pair paternity rates. Basically, the rate of cuckoldry. I first got interested in the topic because people kept bringing up the chestnut that 10% of children have misattributed biological paternity. That is, their biological father is different than the father who raises them. This is a “fact” I’ve encountered from many biologists and the public. But like the “fact” that you use only 10% of your brain, this seems more an infectious meme than a true fact. The problem with ascertaining paternity is to get a representative sample. And, to get deep time depth you need good genealogical records. 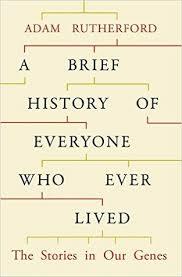 With genetic analysis new methods also came to the fore: analyzing the distribution of Y chromosomes within a lineage. As far back as the middle 2000s Anderson had published How Well Does Paternity Confidence Match Actual Paternity?, which surveyed the literature and found that the rate of misattributed paternity was closer to a few percent than 10%. Later work found results closer to ~1% in places like Western Europe. A new paper out of the Netherlands confirms this figure. This turns out to be the same proportion as in Flanders, just to the south. The authors wanted to compare the results with Flanders because it is an adjacent area with the same ethnicity (Dutch), but which went through industrialization much more quickly. Therefore it was a test of hypotheses about urbanization and extra-pair paternity. How generalizable are these results? It seems entirely likely that the 1% figure applies across the Eurasian oikoumene (genotyping and surname analysis in China has found a similar number). And yet if extra-pair paternity is so low why are there so many cultural strictures on mate guarding in these societies? Much of the above paper discusses the evolutionary psychological mechanisms which evolved to combat cuckoldry and the arms race with occurred as females sought “higher quality” sperm donors. In short, if paternity uncertainty is so minimal then presumably this is not a major recent evolutionary pressure. The curious thing about these results, which are replicated in numerous studies, is the denial they elicit. There is an online “cuckold community” which does not appreciate that their fetish is not as common as the old 10% number implies (I know about this community due to referrals from message boards). Then there are “men’s rights” activists, who simply can’t believe that women exhibit such fidelity. Finally, there are the sorts who wish to tear down bourgeois sexual norms, and valorize a past which did not exist. 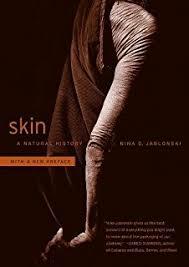 But the ultimate question has to do with human nature and modal behaviors in the past and across different societies. These results establish that low misattributed paternity societies can exist at equilibrium and that they are rather common. 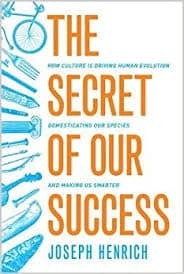 They do not establish this was the “environment of evolutionary adaptedness.” We simply don’t know enough about this topic, but, I do think there needs to be an appropriate synthesis between the evolutionary psychological outlook exemplified by The Blank Slate and the cognitively informed behavioral ecology found in The Secret of Our Success. My own suspicion is that human cultures and behavioral scripts exhibit discrete modalities, but we’re mildly flexible. An economistic “modes of production” analysis would probably smoke out differences. More precisely I think the more economic independence that women in a society have the more likely paternity certainty is going to be a major issue because many men will reduce their investment to any given offspring. Although such economic independence is often conceived of as a modern development in gender relations, there are actually societies where women have been the dominant primary producers, because of a less intensive, more extensive, sort of agriculture (ergo, less premium on physical strength). 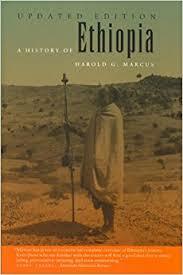 Reading Harold Marcus’ A History of Ethiopia. So far a little too heavy on diplomatic as opposed to social history. My curiosity was piqued when reading The Fortunes of Africa when the author observed that the geopolitical extend of the modern Ethiopian state was partially a function of a relatively late state expansion in the 19t and 20th centuries from the Abyssinian highlands. It’s one of those facts which allow other facts to snap into place. I’ve always been curious about the huge number of Muslims and Somalis in modern Ethiopia. Well, it turns out to be a function of the fact that the borders were drawn at a particular moment and time. Neolithization of North Africa involved the migration of people from both the Levant and Europe. A stray thought I had. For years people have been wary about Richard Dawkins’ conflation of atheism with science, and evolution more particularly. I am starting to wonder if the more self-conscious political activism of scientists, almost uniformly on the Left, will start to have an impact. The problem is that at for now scientists depend on the public for their funding by and large (there are exceptions obviously). A polarized public which does not esteem science and has a faction which sees it as hostile may be less interested in cutting checks for “blue sky” projects (i.e., NIH will be fine, but the NSF….). Since academics are overwhelming of one political orientation I suspect they have a poor intuition of how quickly such a change could come about (there is more real diversity there than is vocalized, but many people I know personally have no inclination for public denunciations due to any heterodoxy, so they keep their mouths shut). Going to the ASHG meeting in one month. I doubt I will venture out into Orlando. I have been to a conference in that city before, but never left the convention center attached to the airport! Am I missing something? In general, I avoid national politics. But the whole controversy around football is curious because I’m skeptical that the sport will be around in a generation. One thing that I have been thinking recently is dropping my Twitter follow back down to 300 or so. I still use Twitter obviously…but it’s getting too dumb. And lots of interesting and smart voices are going passively into lurk mode because it’s exhausting having to deal with dumb people.